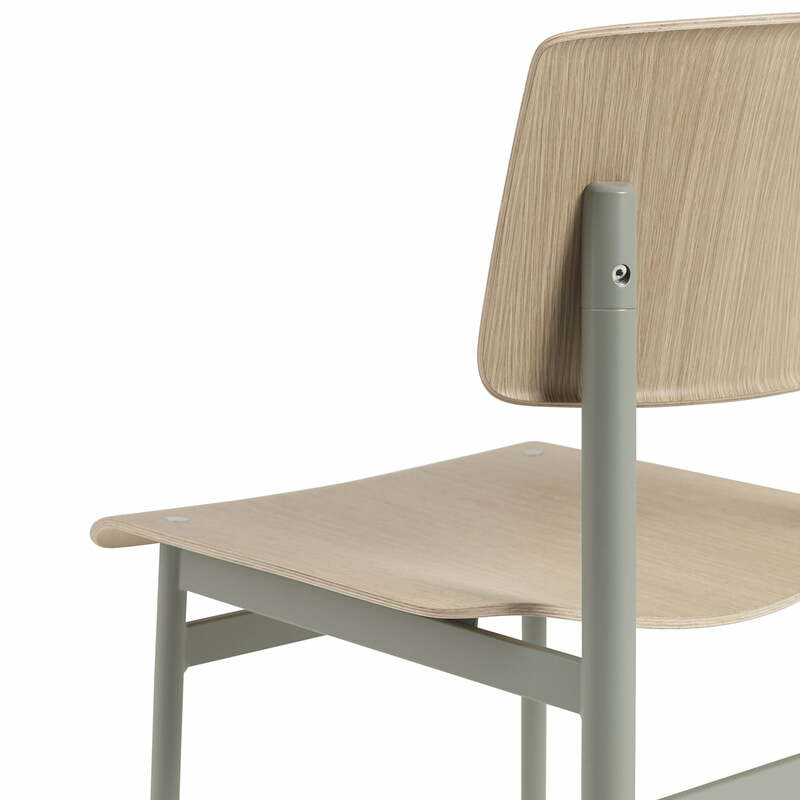 The Loft Chair by Muuto impresses with its simple, timeless shape that has a certain industrial charm. The powder-coated steel frame perfectly complements the seat and backrest made of oak plywood. 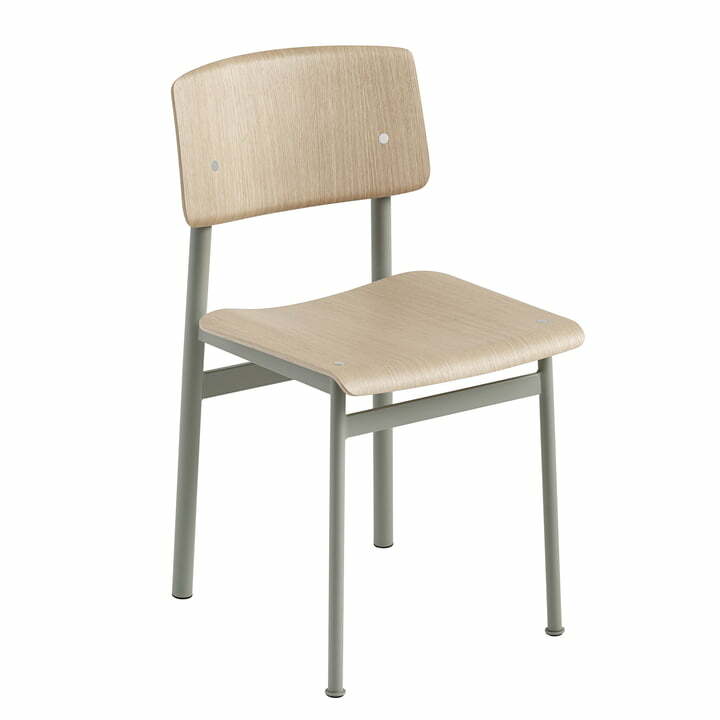 The combination of materials gives the chair a very robust and stable quality. 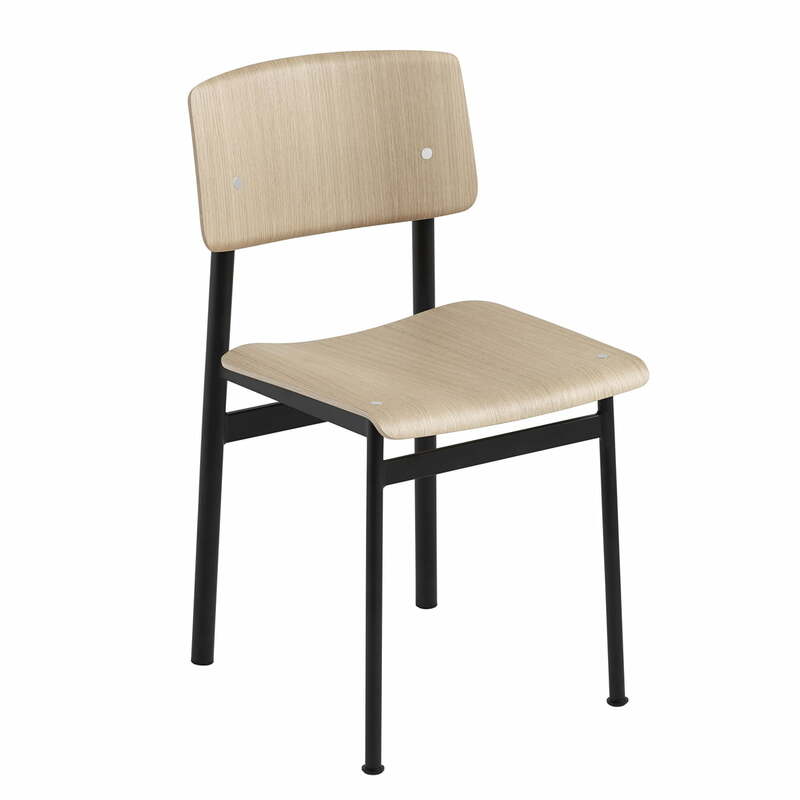 The classic design, which is reminiscent of the chairs in classrooms, is given a more relaxed modern look with a colour lacquered frame that can be the same colour or different from the seat. The seat and backrest of the Loft chairs have an ergonomic shape that ensures comfort. Thanks to the wide range of colour combinations, the Muuto industrial chair is versatile and looks just as good in the home kitchen as it does in cafes, bars and other public spaces. 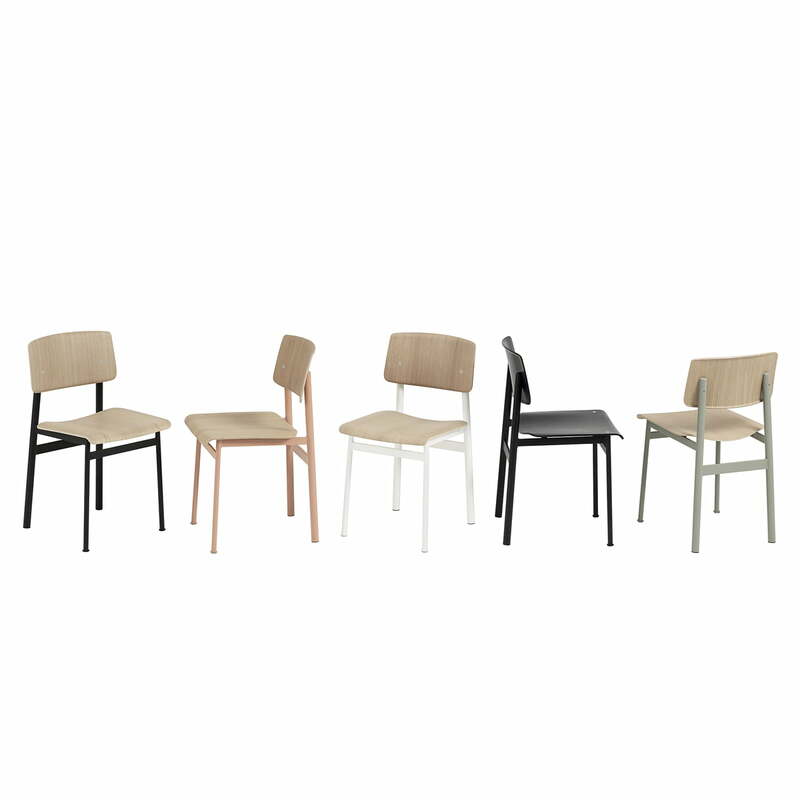 Isolated product image of the Loft Chair by Muuto in oak and black. 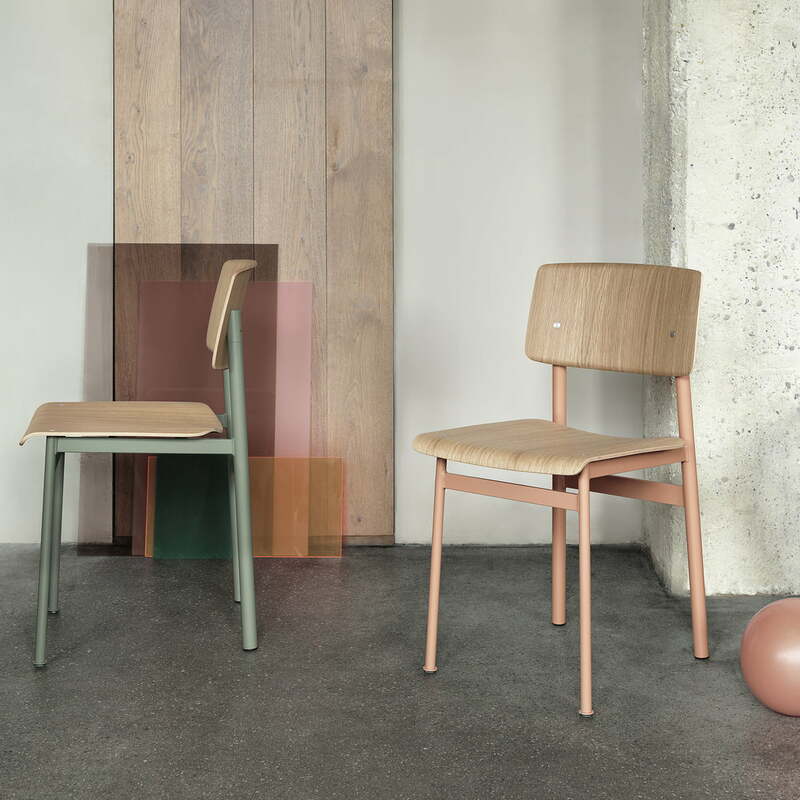 The Loft Chair by Muuto impresses with its simple, timeless shape that has a certain industrial charm. 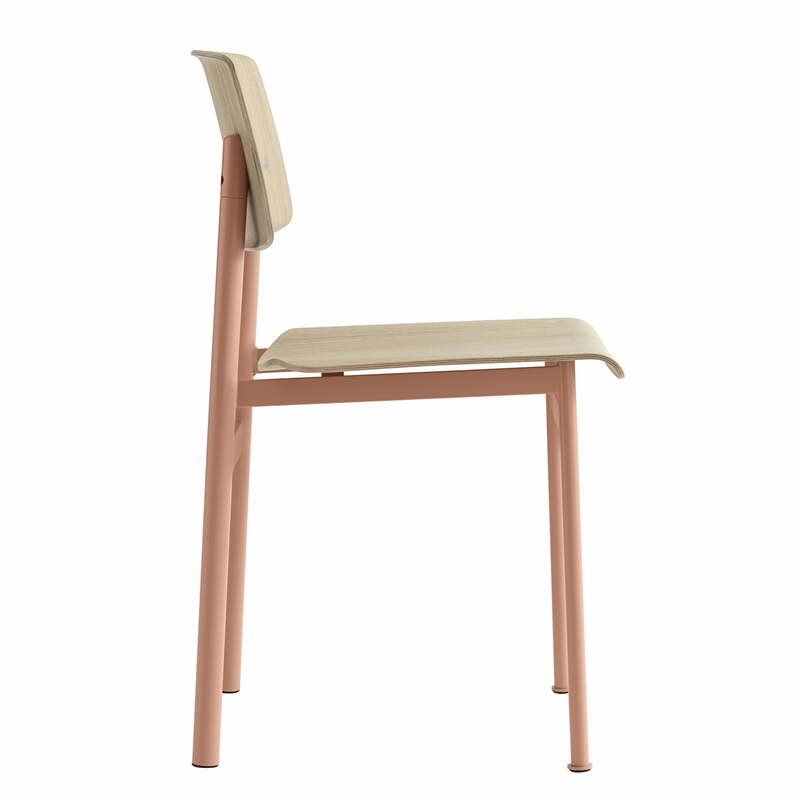 Isolated product image of the Loft chair by Muuto in dusty rose. The powder-coated steel frame perfectly complements the seat and backrest made of oak plywood. The powder-coated steel frame perfectly complements the seat and backrest made of oak plywood. The decorative and functional chair looks just as good at home as it does in cafes, bars and restaurants. Detailed product image of the Loft Chair by Muuto in dusty green. The seat and backrest of the Loft chairs have an ergonomic shape that ensures comfort. 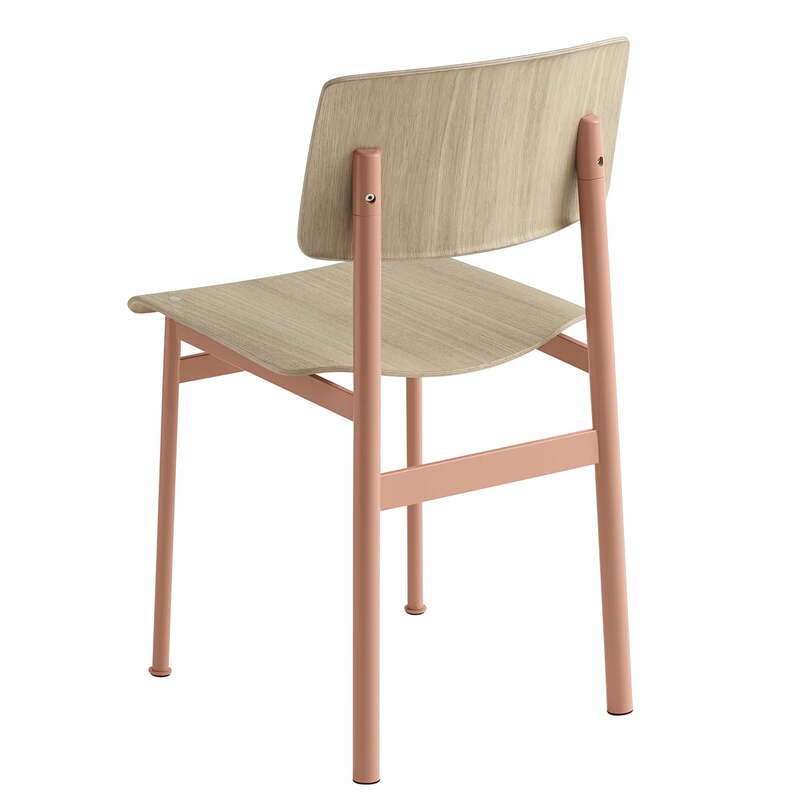 Isolated product image of the Loft chair by Muuto in dusty green and dusty rose. 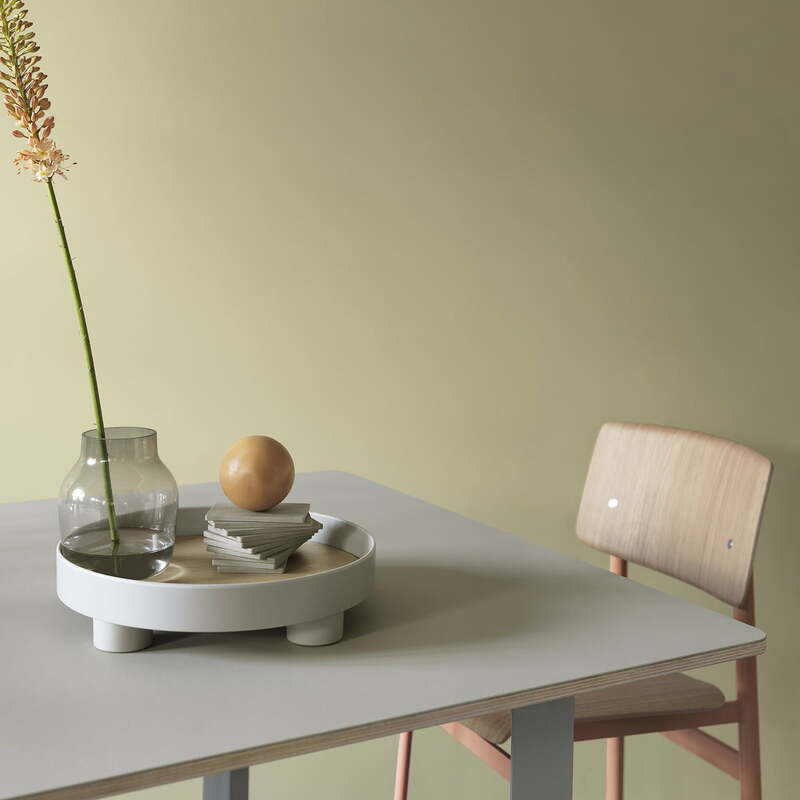 Whether as a chair at the dining room table or a seat in the hallway, the Loft Chair by Muuto is functional and decorative at the same time. 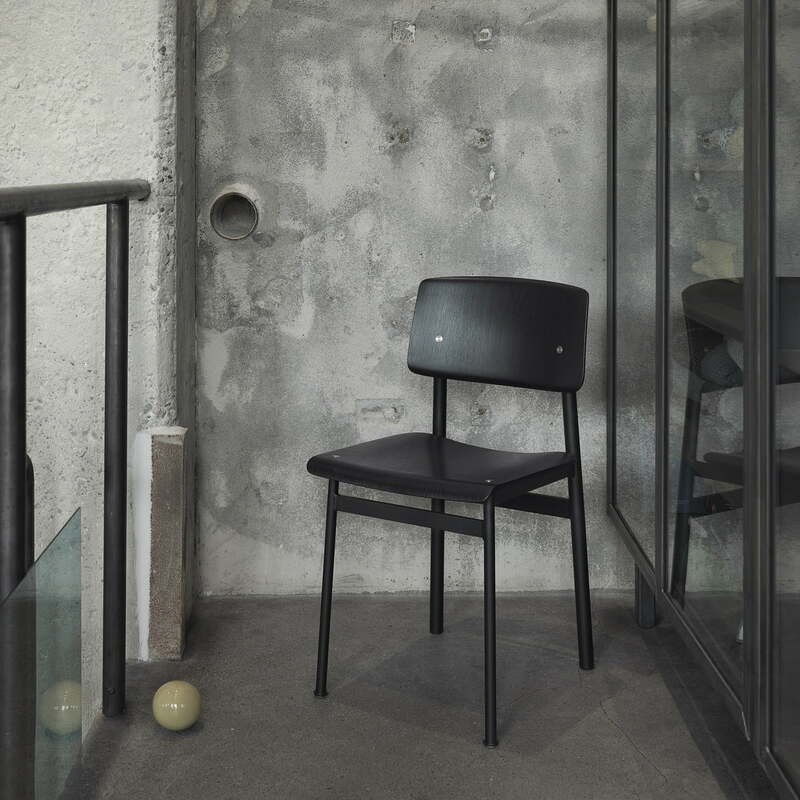 Thanks to the wide range of colour combinations, the Loft Chair by Muuto in black can be used in a versatile way and meets every ambience and every taste.